More and more people are realising that it's important to protect your family in the home and because of this there is a range of different home safety products now available. Most homes now have a smoke detector installed, but what other types of home safety devices are available? Fire blankets have been around for a number of years and although many commercial food establishments have fire blankets as standard, the majority of domestic users in the UK still don't have one readily available in the kitchen. Small fire blankets can be fitted to the wall in any room and because they are discreet they can fit into a wide range of establishments without attracting undue attention. They are available in several sizes and as well as their primary use, to put out kitchen fires, they can also be used in other scenarios such as putting out a waste paper bun fire. We're all familiar with the sight of fire extinguishers at our place of work, so why don't we see them more readily in homes? Fire extinguishers are the perfect accessory in cars, caravans, boats and in the home and are an essential life-saving piece of equipment. The small sizes that domestic fire extinguishers are now available in make them perfect for use in the home. They are mostly available in powder types so are suitable for extinguishing fires of a Class A, Class B or Class C nature. We mentioned smoke alarms earlier in this article but they deserve another mention here. Smoke alarms are an essential home accessory and with types now available which can be wired into your domestic electrical supply and types with long-life batteries. There's never been a better time to install one in your home. 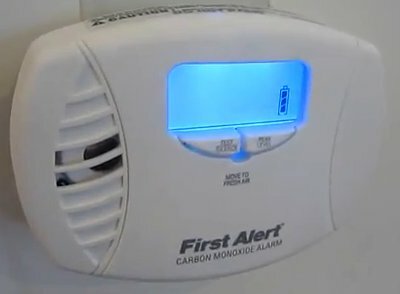 Carbon monoxide alarms are another type of audible alarm which can detect carbon monoxide in the atmosphere. This dangerous gas can be emitted by faulty gas appliances but is otherwise undetectable without a specific alarm. As with all types of home safety equipment a user might never need a fire escape ladder, but if they have one when a fire breaks out they'll be glad they made the investment. Fire escape ladders are usually compact in size so can be stored discreetly in a bedroom. They provide the perfect method of escape if you a fire breaks out on the lower floor of a home and you are trapped upstairs.